It doesn’t matter what type of fishing floats your boat, be it sea or fresh water, there are plenty of gems in the area. Try a river bank or a spot of lake fishing on nearby Lough Furnace. If you are the salt-water enthusiast, between the many shorelines and inlets, you are sure to find something that wriggles your worm. If you fancy trying your luck on Clew Bay there are a number of Deep Sea Angling operators in the Area. Clew Bay has the very best that Deep Sea Fishing has to offer. This all weather bay offers shelter in case of poor weather amongst the many Drumlin Islands. Legend has it that there is 365, an island for each day of the year. It offers the angler not just an outstanding venue but plenty of species. Mackerel, Pollack, Cod, Whiting, Conger eel, Wrasse, John Dory, Gurnard, Ray, Dogfish, Bull Huss, Tope, Blue Shark and the Giant Common Skate are to name but a few that awaits the Sea Angler. 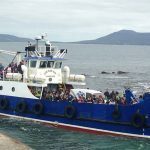 Clew Bay Charters offer boat hire seven days a week for the season March to October. The boat can also be hired for half-day angling trips (times can be arranged to suit). Evening fishing trips are available from 6.00pm. Groups of up to 12 persons are catered for and can be made up of individuals / families grouped together to suit all individual needs. Anglers of all levels from beginners to experienced catered for. The miles of pristine coastline in the area offer the Shore Angler many choices from where to cast their line. With some of the most favoured spots only moments away, from Mulranny Pier at high water for Wrasse, Coalfish, Dogfish, Dabs and sometimes Triggerfish and Sea Trout, to any of the beaches especially on a high tide. The area between Mulranny and Corraun, which is also part of the Atlantic Drive, offers numerous points along a mostly rocky coast. The ground is very mixed ranging from shallow weed covered rock, through to deep kelp fringed gullies to sandy hollows and depressions. Float fishing and shore casting are good options offering Mackerel, Pollack, Dogfish, Coalfish, Conger eel, Thornback Ray, Dabs and Turbet. The Owenmore and Owenduff rivers in north Mayo provide excellent salmon and sea trout fishing. They are controlled mainly by private ownership with permits available on some of the reaches. Carramore Lake, near Bangor Erris, has excellent salmon and sea trout fishing. 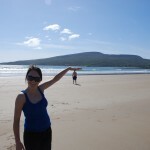 Ballin Lough is a rich limestone lake of 54 acres located 14 miles south of Mulranny. It is managed by the North Western Regional Fisheries Board and is stocked with Rainbow Trout. It has a superb reputation for the quality of its angling. Clogher lake, near Ballin Lough is a quality wild brown trout lake of approximately 30 hectares. Boats are available locally and the trout are free rising and plentiful. In the Newport area, the Burrishoole Fishery, also managed by the North Western Regional Fisheries Board, and the Newport River/Lough Beltra are well known salmon fisheries, holding some sea trout too.